Everybody knows the story of the Grinch who lives alone up on a mountain, in a cave, with his dog Max. He doesn’t like the presence of people, since they all annoy him and nobody understands him. However, in this movie he is seen to be more open about joining the people in their town to do normal things like grocery shopping. The Grinch enjoys peace and quiet up in his lonely cave, so his main spurt of aggravation comes around the time of the holidays when all of his neighbors down in Whoville are joyful, cheerful, and especially noisy. This year, however, the Whos decided to make this Christmas the biggest and best one ever. This meant more joy, more lights, more cheering, and more noise. The Grinch just could not have it. He decided the only way to get rid of all the noise, was to take it all away. He then thought of a scheme to silence the Whoville’s Christmas once and for all. This almost 2 hour long movie is one of the most recent Harkins Theater big hits already earning about 67.7 M dollars. Many have already begun to call this movie the glorious return of the Christmas killjoy. Its a great movie to see with the family and laugh about all together. Benedict Cumberbatch does a well done job of portraying the Grinch in this movie. Its fun, creative, and gives everyone a good laugh. The Grinch stars the following cast: Benedict Cumberbatch as the Grinch, Rashida Jones as Donna Who, Angela Lansbury as Mayor McGerkle, and Kanan Thompson as Mr. Bricklebaum. The directors were, Yarrow Cheney and Scott Mosier. The movie narrated by Pharrell Williams who also contributed with his song “Happy”. They all do an exceptionally well done job. Especially the main man himself, Benedict Cumberbatch. Although an actor, Benedict does not do voice overs very often. This is not his first time however; he has made an appearance in a range of shows from the Simpsons, to this movie itself. The Grinch received a mediocre audience score of 61% and a rotten tomato score of 55%. This basically means that it was not a very good movie (according to the rotten Tomato-meter). Everyone who goes to see it has a great laugh, but it is just like any other Grinch movie that has been made. A good review is denoted by a fresh red tomato. In order for a movie or TV show to receive an overall rating of Fresh, the reading on the Tomato-meter for that movie must be at least 60%. A bad review is denoted by a rotten green tomato splat (59% or less). Sadly, The Grinch received a green tomato splat with a 55% on the Tomato-meter. The average overall rating for this movie was 3.5/5 and was said to give a great movie for the audience of children. It received this praise with its content without having to add much to the original story of How the Grinch Stole Christmas originally created by Dr. Seuss. This all comes to credit with a thumbs up from this review! Which shoe brand is the best? 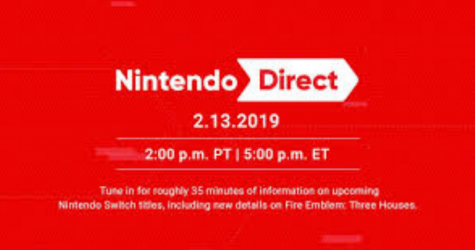 Expectations and Outcome of Nintendo Direct.